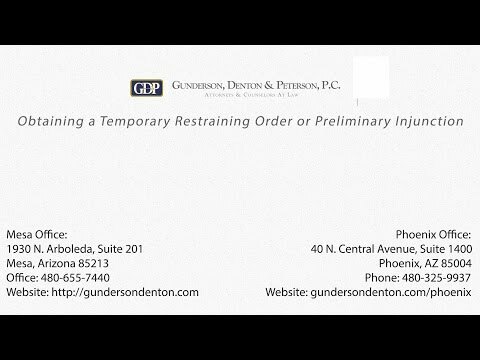 Mr. Denton and the attorneys he works with are experienced and assertive in resolving disputes related to businesses, real estate, contracts, unpaid debts, partnerships, and so forth. Whether you have a personal dispute against a business, or your business is involved in a dispute, we are prepared to help. Our Mesa litigation attorneys represent both the plaintiff and the defendants in these matters in state, federal and appellate courts and administrative agencies. Represented a small business owner in obtaining a six-figure settlement from an insurance company for selling the business owner a policy inappropriate for him. The settlement represented all the amounts paid to the insurance company, plus interest and attorney’s fees. Obtained complete dismissal of a lawsuit filed by a disgruntled customer of our client, a seller of table-top vending machines. Successfully fended off threatened lawsuit by a former broker against our client, a business broker. Successfully fended off a six-figure lawsuit threatened by a diamond purchaser, who asserted that our client, a diamond broker, had breached the parties’ contract. Based on lack of jurisdiction, successfully obtained complete dismissal of a case against a small business client who was sued in Arizona but lived in New York. Many, many other types of litigation.